Join the UNM Latin American & Iberian Institute for our casual Vamos a Leer book group, a space dedicated to teachers discussing authentic and engaging Latinx literature for elementary, middle and high school classrooms. We meet each month in the "vault" space at Red Door Brewing (downtown) on Gold Ave, and welcome your participation whether you've read the whole book or a single page. 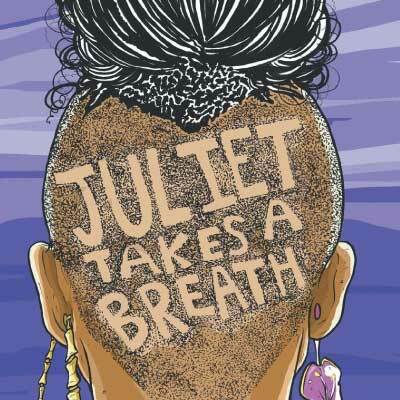 Our February title is the young adult novel, Juliet Takes a Breath, by Gabby Rivera. Juliet Milagros Palante is leaving the Bronx and headed to Portland, Oregon. She just came out to her family and isn't sure if her mom will ever speak to her again. But Juliet has a plan, sort of, one that's going to help her figure out this whole "Puerto Rican lesbian" thing. She's interning with the author of her favorite book: Harlowe Brisbane, the ultimate authority on feminism, women's bodies, and other gay-sounding stuff. Will Juliet be able to figure out her life over the course of one magical summer? Is that even possible? Or is she running away from all the problems that seem too big to handle? With more questions than answers, Juliet takes on Portland, Harlowe, and most importantly, herself.